Directions:From Denver head West of I-70 or Hwy 6 and South on C470 to the Morrison Exit. Head west, through Morrison on Bear Creek Rd. After you pass through Ideldale, make a left into the Lair O' the Bear Parking area. Lair O'the Bear is a small peaceful open space park located in scenic Bear Creek Canyon. It is the first of a string of parks with good hiking options including; Corwina Park, O'Fallon Park, and Pence Park; all connected by the Bear Creek Trail (BCT). The Bruin Bluff trail offers a relatively easy jaunt through the foothills brush and evergreen forests and gains enough altitude that it feels like a hike, instead of just a walk. From the parking area start by heading towards Bear Creek and turn left on the Creekside Trail. You follow Bear Creek for a little ways and eventually are lead to the Ouzel Bridge, next to the outdoor classroom. Cross the bridge to find the Bruin Bluff Trail junction. Follow the Bruin Bluff trail along the north face of Bear Creek Canyon for 1.3 miles before descending back down to Bear Creek. As of the date of this hike, the Dipper Bridge is closed due to flood damage. Check the park's website for more info on this closure. Since the bridge is closed you need to take the Castor Cutoff Trail back to the Bruin Bluff trail and head back over the Ouzel Bridge to return to the parking area. I usually connect with the BCT to return to the parking area, but that is not possible at the moment. Still, the Castor Cutoff gives you a nice return loop and a little more mileage than just taking the BCT. 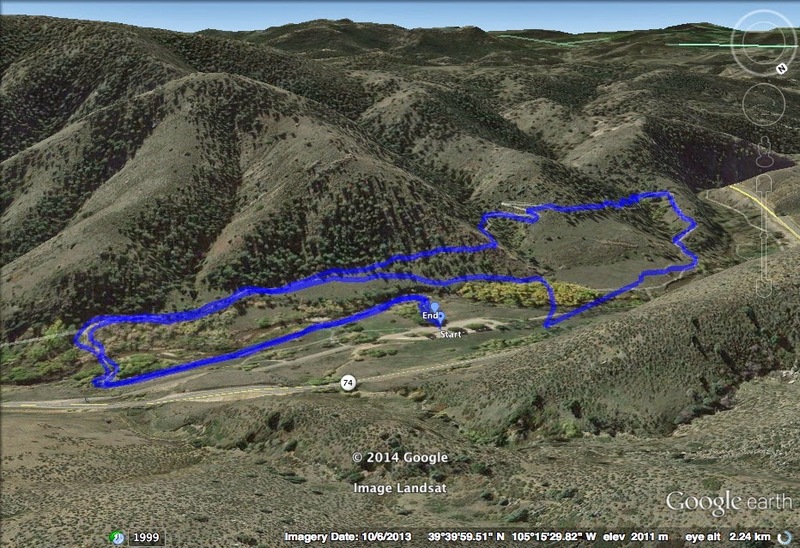 See below for stats and pictures of the hike when you take the BCT trail back to the trailhead.